Playing Hot performances begin THIS WEEK, on Thursday, April 18. In advance of first preview, we’re thrilled to introduce you to yet another remarkable member of our band. Today we’re featuring Peter Nelson, trombonist and singer, who is playing the sousaphone in Playing Hot. Hear from Peter below, and grab your tickets to Playing Hot today! Prices will be going up when performances start. Pipeline Theatre Company: What do you want the folks reading this to know about Playing Hot? What’s the most important element of this project to you? Peter Nelson: Theatre celebrating one of the most influential unsung heroes of American music is such a special endeavor. The catalogue of American drama in regards to jazz musicians representation has been decidedly one sided, skewed towards the more commercially accessible less socially disruptive narratives. Pieces like Playing Hot firmly plant themselves against the grain as vehicles for the untold stories of creatives that shaped western music and culture for decades to come. PTC: What is your relationship to Buddy Bolden’s story? PN: When I think of Buddy Bolden I think of the blues. Building on the rhythmic and melodic sensibilities of Scott Joplin he incorporated the more vocal sounds of the gospel spirituals, making American music forever more a space for improvisation as a communal experience. To me, Mr. Bolden represents a trust in ones own voice in the face of extreme prejudice and civil inequality. It took incredible courage innovate; to find freedom and respite in music’s reckless abandon when the system around him was predicated on bringing him down. That sense of living a life on your own terms in spite of personal tragedy and the constant pressure to conform continues to inspire. PN: “Jazz means I dare you” – Wayne Shorter — I grew up in a heavily musical city community. Jazz was the natural meeting point for all the things that drew me to music. My relationship to music is similar to my relationship to language. I’m expressing in real time an emotional and intellectual landscape with the intention to communicate to those sharing my space. As a composer, I often write with very specific stories in mind. As an improviser, I’m trying to marry spontaneous creativity with a broader awareness of the energy and humanity in the room. Music is the catalyst through which I personally relate these things. Jazz, in regards to American music, truly laid the bedrock for musicians to explore in so many directions. Without Buddy Bolden, I don’t know what we would be playing. PTC: What instrument do you play? When did you first start and what initially drew you to jazz? PN: I play Trombone, Sousaphone, Piano and I sing. Jazz drew me in as a place to express freely with the people around me. There’s an enticing sense of urgency to playing that, as a teenager, I hadn’t found in other music. Jazz also felt like it had some degree of malleability in its evolution that gave space for many people’s stories while still being firmly rooted in the black American experience. It’s how I relate to the world and will always be the foundation of my musical identity. Peter has a new trio project coming out on Outside in Music in early July. 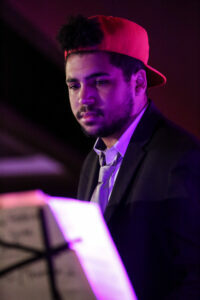 The project combines contemporary jazz with singer songwriter textures and rhythmic environments. They’ll be performing at festival upstate and in the midwest in early August. For info and updates follow Peter on Instagram or Facebook at @PeterNelsonMusic and visit his website, www.peternelsonmusic.com. And don’t forget to catch him in Playing Hot, April 18 – May 12. 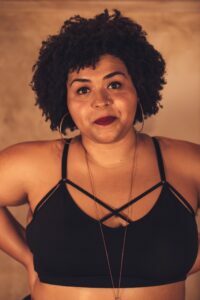 Today we’re pleased to introduce you to Khrys Williams, a musician (specifically a trumpeter) who has been working on Playing Hot with us since our first workshop in 2016. Learn more about Khrys below, and see them in Playing Hot beginning April 18! Khrys Williams: To me, a huge aspect of art as a whole – and the most fulfilling part of being an artist – is the range of emotions evoked by the content we make. If there ever is a chance I can make a bunch of people feel that sense of fulfillment, I’m jumping at it. I’ve been a part of Playing Hot productions ever since 2016; most of the cast/crew has grown into a family since then. Even though #PlayingHot is inherently a fun time, doing it with this stage family makes it just as fun for us as performers as much as it is for the audience. KW: I started playing the trumpet when I was 11 or 12; I got into jazz around age 15. The fact that I could express myself any way I wanted through what I played drew me into jazz. Self-expression has always been a kind of life-force for me, and to be able to do it through an art that I love makes everything in my life infinitely more fulfilling. PTC: What do you want the folks reading this to know about Playing Hot? What’s the most important element of this project to you? KW: Be prepared for the theatre experience of a lifetime. The wall between performers and audience is a thin one, and you’ll be enraptured in the spirit of having a good time. KW: Buddy Bolden was the one who started the rebellious genre we know as jazz by breaking away from standing tradition to put his twist on things. As an artist that plays jazz, I feel that Buddy and I are kindred spirits in that regard. I can relate to the need to break from the status quo and be unique. In addition to working on Playing Hot, Khrys is part of J-MUSIC Ensemble (@jmusicband on Instagram and Twitter) which he describes as mixing Japanese pop and video game music with jazz. He’s also starting a new project called Khrys Williams and the Red Line Arsenal (@redlinearsenal on Instagram), which will augment our perspective on big band jazz. You can also follow Khriys directly at @khryswilliams on Instagram and Twitter! 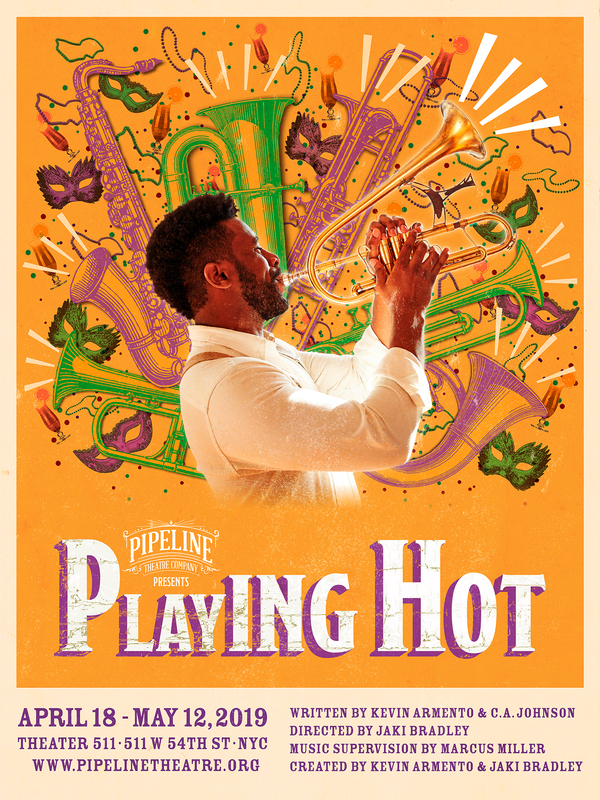 Playing Hot performances begin THIS WEEK so we’re thrilled to begin the introductions of our incredible band, the folks really bringing the jazz to Playing Hot. Today we’re featuring Darrian Douglas, our drummer. 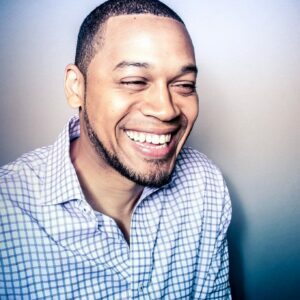 In addition to his work as a musician, Darrian is the executive director of a small New Orleans based nonproft called Second Line Arts Collective. Second Line develops and operates programs designed to teach young musicians how to monetize their artistic creations. 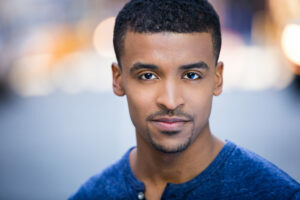 Learn more from Darrian below, and check him out in person at Playing Hot. Grab your tickets today, still available for a limited time at the early bird rate. Pipeline Theatre Company: What is your relationship to Buddy Bolden’s story? Darrian Douglas: 11 years ago I moved to New Orleans from Mississippi. While in NOLA I learned about the importance of history and legacy. Buddy Bolden’s story is a part of the fabric of New Orleans and ignoring that would have been tragic. So I embraced his legacy as a part of my own. PTC: What instrument do you play? DD: I am a percussionist, but my main instrument is drum set. PTC: When did you first start and what drew you to the music? DD: I began playing drums in the 5th grade. I attended a performing arts conservatory from 5th-12th grade. At this school the only option for non classical instrumentalists was jazz. The sounds and rhythms of the music drew me in. PTC: What is your relationship to the music? DD: The music that call Jazz I call Black American Music. This music literally saved my life. I was introduced to playing and listening to it in elementary school. Music gave me purpose, it gave me something to work towards. Black American Music taught me the importance of mastery, focus, and determination. PTC: If there were to be an “untold true story” about your own life, what would be the subject? 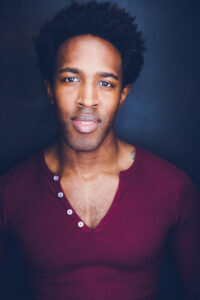 You can keep following Darrian on instagram at @darriandouglas, and you can catch him live in Playing Hot! Spotlight on Shernita Anderson: Playing Hot is destined to truly bring the heat! Playing Hot begins performances in just one week! Ahead of our first performance, we’re pleased to continue introducing you to the brilliant artists who are building this boundless production. Today we’re featuring Shernita Anderson, our choreographer. Heard from Shernita below and grab your Playing Hot tickets today! Shernita Anderson: I had actually never heard of Buddy Bolden until a few years ago when I was cast as a dancer in the feature film. I worked on the film in Atlanta for approximately two weeks and got the opportunity to learn Buddy’s story and about what life was like back then. My time on the film has definitely prepared me for my role as choreographer for Playing Hot. PTC: What’s your relationship ship to jazz? SA: From a young age, I was always drawn to jazz. There’s a freedom and the beauty to Jazz, that has always spoken to something within me. PTC: What is the most important element of this project to you? SA: To me the most important element is the energy that each person brings to this project. Each person contributes consistent, positive energy with positive intentions which means that Playing Hot is destined to truly bring the heat! I want folks to know that Playing Hot, is more than a play, it is an experience. The should be prepared to laugh, learn and party! PTC: What type of design do you do? What initially drew you to this type of design? SA: Movement has been a part of my life for as long as I can remember. So naturally, I became a dancer, training and performing in various styles before moving into the role of Choreographer. I enjoy creating beautiful stories through movement as well as empowering others to own their bodies, so of course, the role of Choreographer comes pretty natural to me. PTC: What has been your approach to bringing New Orleans to Midtown New York? What elements have been important to you to focus on? SA: During this process it’s been important for me to focus on the authenticity of not only the time and space but specifically the actors. Each actor brings something to unique to the play and I want those unique things to shine through within the various characters they portray. Make sure to check out Shernita’s choreo this spring in Playing Hot! Follow her on instagram at @ShernitaSoFly #ShernitaBe. Hurricane cocktails and Cajun eats enliven this Big Easy-inspired pub a few blocks from Times Square, and a ~15 minute walk from the venue. Cuban cooking *and* live Cuban music fuel the festive old-Havana vibe at this circa-1963 spot. Havana Social on 10th Ave is now closed, but Victor’s makes up for the loss! Upscale, intimate jazz club in Lincoln Center serving Southern-accented fare and themed cocktails. You have to time the night right to make this work: prime-time sets are at 7:30pm and 9:30pm each night, but there’s always the Late Night Sessions Tuesday-Saturday at 11:15pm. Relaxed spot for Lowcountry Southern fare including weekend brunch with cocktails and live music. Buzzy nook with counter and table seating known for Japanese noodle soups & pork buns. Over-sized restaurant and bar with a menu of classic American and British dishes in a Victorian setting. Creative gourmet burgers, modern sides, milkshakes and draft beers served in a small, hip space. These are the milkshakes you’ve seen on Instagram. We’re keeping it rolling, introducing all of the brilliant artists who are building Playing Hot, our jazz concert-party-play hybrid. 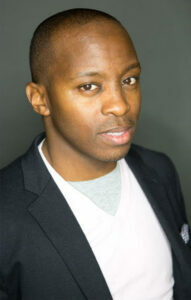 Today we’re featuring Eric R. Williams, the newest member of the Playing Hot cast. 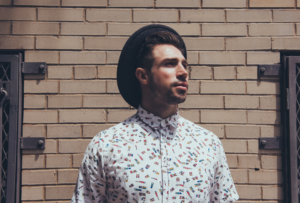 Learn more about Eric below, and grab your tickets to Playing Hot now! Eric R. Williams: This is not your typical night out at the theatre! It’s a literal experience. We’re telling a harrowing story about one of America’s most enigmatic musicians of all time in a way that will stimulate and invigorate the senses in ways we don’t usually expect from the theatre. ERW: This is my first tango with Playing Hot. My journey has encompassed all of five days right now and I am loving it! Its been insanely educational, eye-opening and has already stretched me as an actor. I can’t wait to further develop this story and bring it to NYC as the Spring begins to roll on in. ERW: Right before I left Atlanta to go to college, there was buzz around town about a biopic being made about Buddy Bolden. Dancers were being sought to audition and participate in the film, to appear as patrons in various club scenes and dance sequences. The movie Idlewild was fresh in the minds of many and this new Buddy Bolden movie was slated to be in the same vein. That was the first time I heard about the legendary Buddy Bolden and I was so excited to see what was going to come of the project. Spoiler alert: It never got off the ground. For me to have the opportunity to be apart of telling his story these many years later feels full circle in a way that I can fully appreciate now. ERW: My parents surrounded my little brother and I with jazz – car rides, around the house, birthday parties, you name it. I didn’t grow to appreciate it until I was a teen, but growing up with those sounds in my periphery informed my musical sensibilities in ways I wouldn’t discover until I began training for my BFA. As a singer, I was always partial to the vocal styles of the music, so hearing artists like Dianne Reeves, or those who were influenced by Jazz, like Anita Baker, Dionne Warrick or Luther Vandross only supplemented my musical tastes. Jazz, as a whole, has proven to be like acquiring a taste for wine & I am a sucker for a nice glass of wine. You can catch Eric in the short film “Introvert’s Guide to Activism” which is currently making it’s festival run. You also might spot him in Mastercard’s Priceless Surprises commercial, opposite Camila Cabello. Follow him on Instagram and Twitter at @AllFreshAiric and see him in Playing Hot this April 18 – May 12! Grab you tickets here.